Decomposition Cleanup Services – call us toll free us (877) 800-8110 for immediate response. Cendecon offers Decomposition Cleanup and unattended death cleanup throughout California. We are California’s most trusted Crime Scene Cleanup Company. We work with hundreds of insurance companies and have established a great rapport with them. 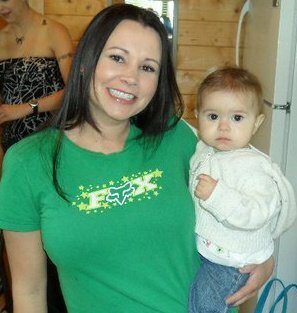 We have also have great relationships with our clients, as you can see on Yelp. The cycle of life unfortunately ends with death. Although death is often very sad it is not necessarily expected. Decomposition Cleanup is more common than one might think. Death does not always come to a socially active individual who is immediately missed if they don’t return a call. Often times it happens to a senior who is retired and mainly keeps to themselves. In these cases it can go unnoticed for some time before it is discovered. An unattended death can take place anywhere. It can happen to anyone at any time. I know that these thoughts are unpleasant and very unnerving, but we see it often. There are times it seems people knew it was their time and other times it appears as though they never saw it coming. An unattended death basically takes place when no one is around. Not all unattended deaths result in decomposition but a good percentage of them do. Regardless of decomposition, it is recommended that you not attempt any sort of cleanup on your own. Leave it to the licensed and trained professionals. 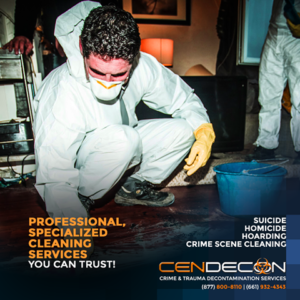 Cendecon Crime Scene Cleanup is just a phone call away. We are able to answer any questions you may have. Decomposition cleanup is one of the more common among Crime Scene Cleaners. Depending on many factors the death can go undiscovered for very long periods of time. One of the common components in decomposition is the odor that accompanies it. When an unattended death goes unnoticed for extended periods the body will decompose. There are many stages a body goes through following death and if left long enough it will virtually melt and can be absorbed by what is beneath and around it. With that comes the notorious smell. The only way to permanently remove the odor is by removing every trace of blood and bio hazardous waste. This can include and is not limited to disposing of any furniture soiled with body fluids, cutting out walls, cupboards, floor tiles etc. Once all the bio is fully removed the odor removal treatment can begin. This process is very precise and is not as simple as spraying some nice smelling chemicals in the air. Although, it may mask the odor for a while, it is in no way a permanent odor removal solution. See our odor removal section for more info. 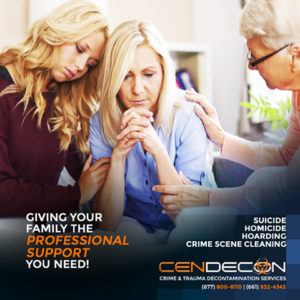 Cendecon has trained professionals that deal with unattended death cleanups on a regular basis. Our crews are professional and discreet and will get the job done the right way. Call us toll free now at 877-800-8110. We have offices in prime locations for fast response to Los Angeles, Frazier Park, Bakersfield, Kern County cities, Ventura County cities and Fresno, California.